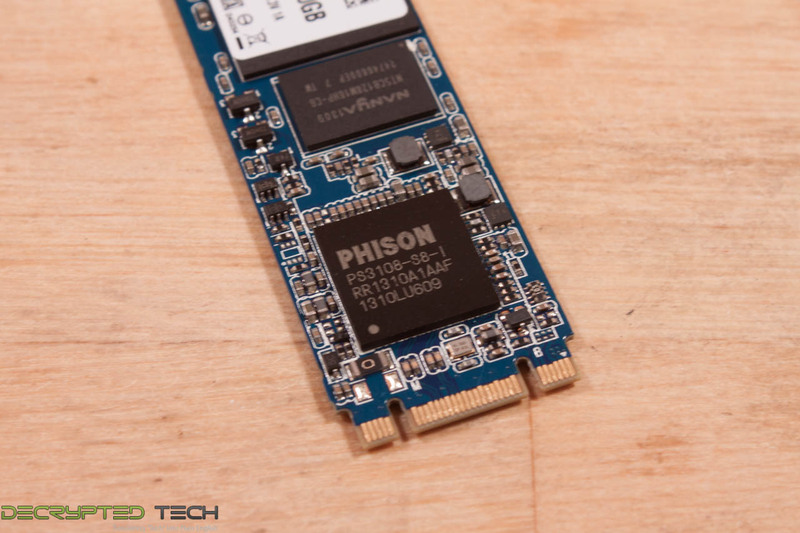 M.2 SATA and PCIe drives are much thinner than regular mSATA drive are, but still manage to maintain the same performance profile. 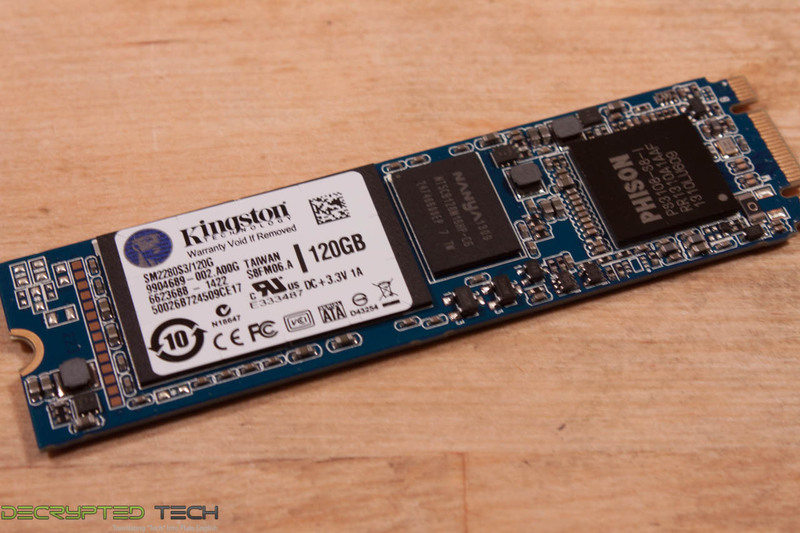 These drives are also going to be much longer in most cases, as your average mSATA drive is going to be 55mm long (although there are 78mm drives as well). As you can see in the image below M.2 drives are easy to spot in a crowd. 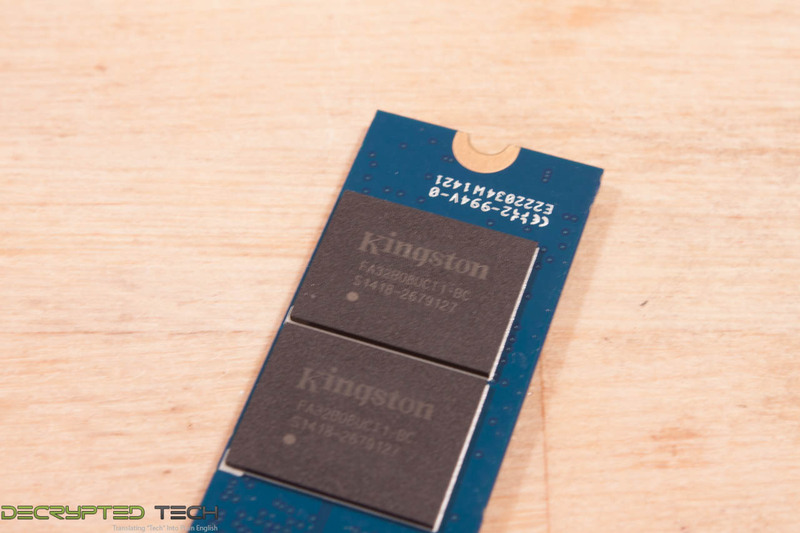 Moving on to the actual Flash modules used on the SM22080S3 we find Kingston’s very own FA32B08UCT1-BC modules. 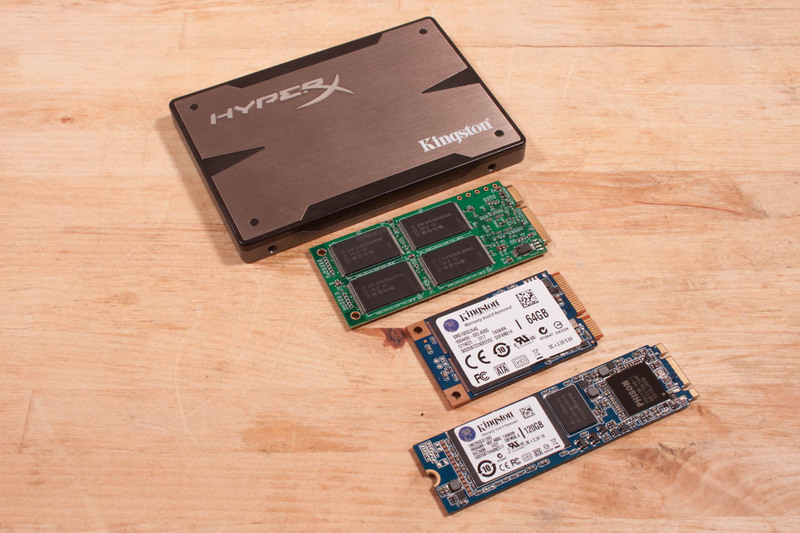 These are 32GB each with the four on the M.2 card totaling up to 128GB RAW and 120GB available. 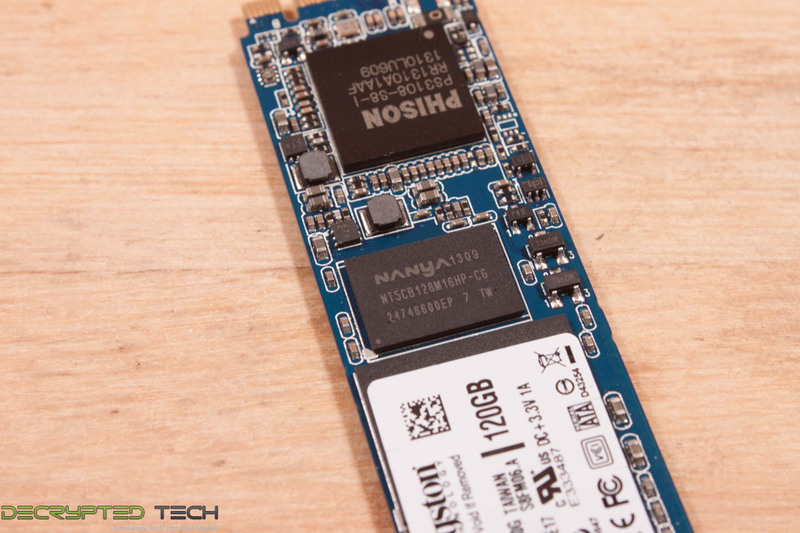 Another interesting item on the drive is a NANYA DDRIII chip, according to the specs that we could find on it this is a 2GB module so this is most likely the cache for the drive. All in all the SM22080S3 is looking like it could be a nice drive. Let’s run some tests and find out.